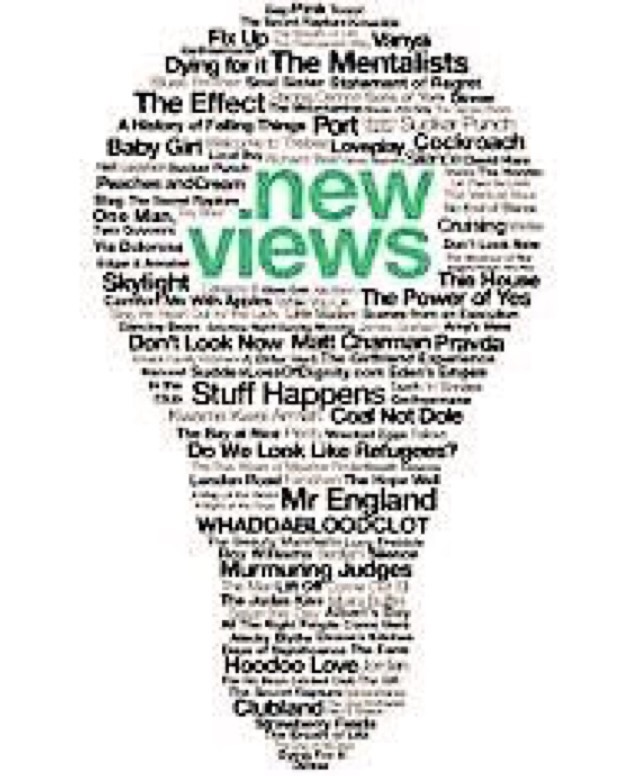 The National Theatre New Views project is an annual playwriting programme for 15-19 year olds. Each year hundreds of students from across the UK learn about playwriting from some of the finest writers in the business and write their own 30 minute plays, with one play chosen to be staged at the NT with a professional cast. Participants will have the chance to develop their creative writing skills, work with professional writers and directors, see a play at the NT and receive personal one-to-one feedback on their work. The New Views London Hub runs with the academic year October to July with weekly sessions during the autumn term and most of the spring term. A writing programme of workshops and group discussions examining character, dialogue, stagecraft and story (to name just a few) which takes place at the National Theatre, including a visit to a production at the NT. Sessions are led by playwright Brian Mullin and director Audrey Sheffield. A national playwriting competition whereby all students taking part in the programme are eligible to enter their work following editorial advice from professional playwrights. The shortlisted playwrights will have the opportunity to have their play performed as a rehearsed reading at the NT, with the winning play being performed in the Dorfman theatre with a professional cast and creative team.